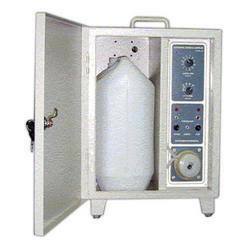 Our product range includes a wide range of wastewater composite sampler, automatic interval effluent sampler, refrigerated composite wastewater sampler, sampler for waste water and refrigerated wastewater sampler. We are one of the well-known manufacturers and exporters of Composite Wastewater Sampler. The offered composite wastewater sampler is very widely used for collecting samples of waste water. 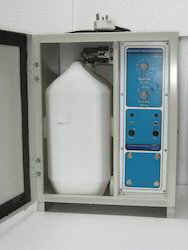 Our exported composite wastewater sampler can be programmed for shift wise collection of water samples. Packaging Details: As per requirement. Export packaging available. IU 801 HP Real Time is composite sampler. It can pipe or vessel up to 5Kg pressure or having very high head. Select sampling volume and sampling cycle of 15, 30, 60 or 120 minutes. housed in a sturdy industrial weather proof powder coated cabinet for out door application. which has very high resistance to almost all chemicals. even if power fails for long time. Sample is collected in 20 liters carboy. 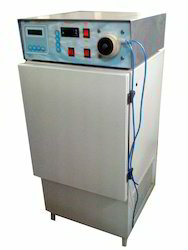 Peristaltic pump is designed to collect samples from the depth of 25 feet without priming. which has high resistance to almost all chemicals. Packaging Details: Export quality packing available, or as per order. We are one of the surely understood manufacturers and exporters of Composite Wastewater Sampler for Chemical Industry. 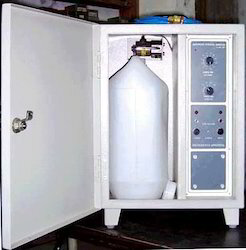 The offered composite wastewater sampler is generally utilized for gathering examples of waste water. Our exported composite wastewater sampler can be modified for movement shrewd gathering of water tests. IU 804 AP is an important substitute for similar samplershaving more flexibility for custom programming, advance facility and reliability atnearly half the price compared to imported unit. The unit has very less moving partscompare to other manufacturer hence reliabilit y is very high and less maintenance dueto less moving parts.